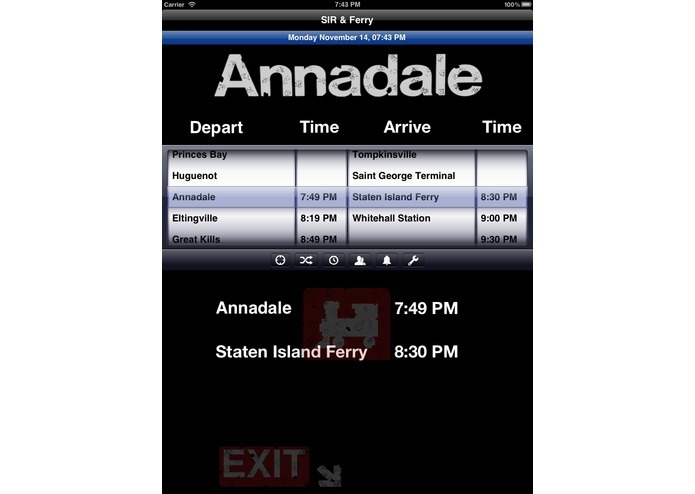 With the "Annadale App" the MTA Staten Island Railroad (SIR) and the Staten Island Ferry become one seamless entity. 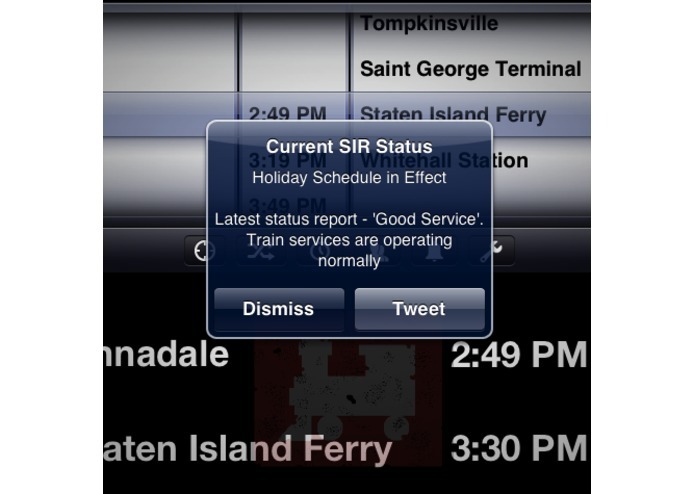 This unique app experience bridges the gap between the SIR and the rest of the NYC subway system. The Staten Island Ferry originates from 1700's and currently provides transportation for 20 million people a year (average 60,000 passengers everyday). During 9/11 SIR and SI Ferry transported tens of thousands of people out of lower Manhattan into safety. 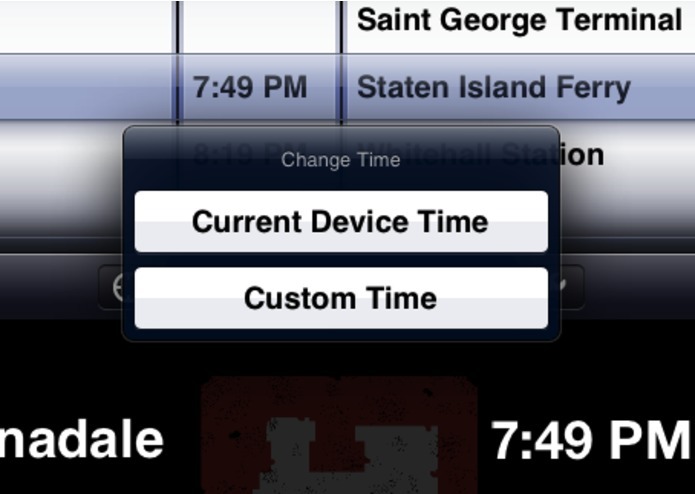 Staten Island Train and Ferry Schedule are presented in such a way that the user is presented with best times and current operational status upon opening the application. From there the user is able to view the schedule for any date and time. Making this app great for commuters, casual riders, students and tourist. What separates Annadale from other NYC transit applications is that schedules are available with no data connection. This is because Annadale maintains the schedules locally on the device making this a great tool for device's without data service or in places with poor data connection. Many of the device's features are integrated with the application to provide the best user experience. 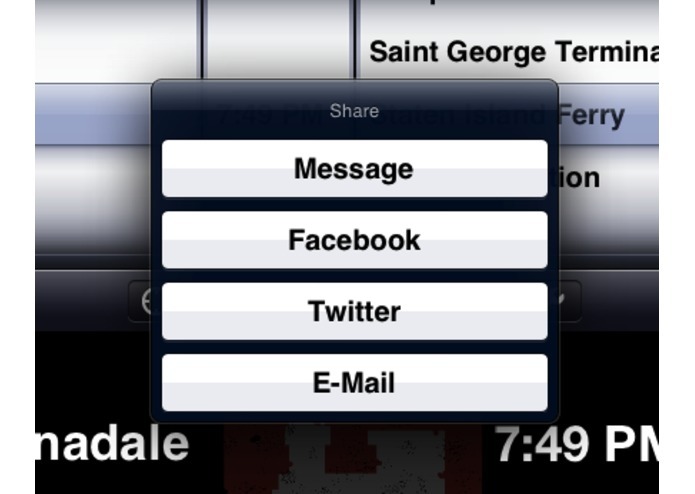 Locational services allow user to choose the closest station, while Facebook, Twitter, Email, iMessage and SMS messaging allows the user to connect with friends and share the time of arrival. 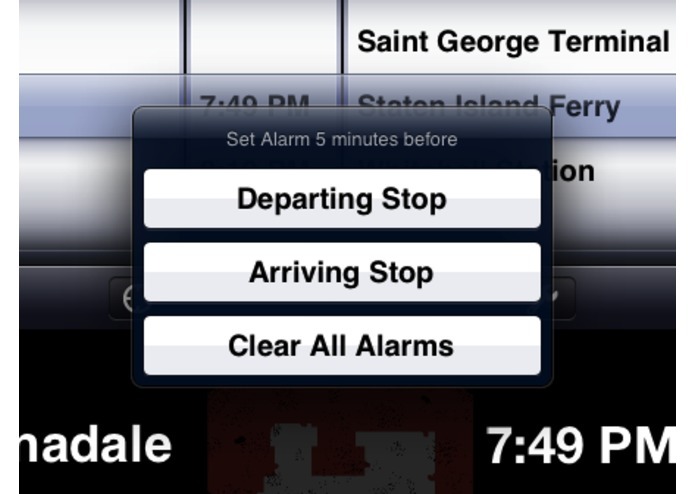 Additionally, there is an added feature to set an alarm to notify when the train/ferry is approaching it's arrival or destination stop. Available for the iPhone \ iPad \ iPod touch devices.